I don’t blame people for asking questions. I don’t even blame them for asking dumb questions. After all, that’s how we learn. No one, myself included, was born knowing everything there is to know about antennas or anything else. I had the help of some very patient people to get me to the point I’m at now. Still, when someone says, “do you sell 75-ohm antennas,” it does make me shake my head a little bit. And then I listen and try to figure out what they’re actually asking. First of all a word about impedance. Impedance is a measurement of how effective a material (like a cable or antenna) is at sending power through it. That’s a very simple explanation but it will suit for now. Really understanding impedance in a real-world way is a lot harder than you think. It’s only important to understand that it’s something you have to measure, and everything in your wiring has to work together or it gets really messed up. The native impedance of most antennas is about 300 ohms. This is a factor of the way transmissions happen and the material used to receive them. There isn’t really such a thing as a “75 ohm antenna.” What happens is actually a bit sneakier. Modern antennas use a device called a balun that serves two purposes. 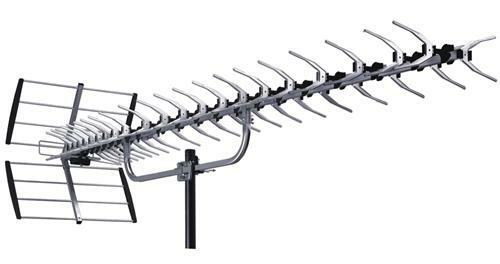 First and foremost, it converts a BALanced line to an UNbalanced line, in other words, it lets you use a coaxial cable instead of those flat wires everyone used to use when your dad put up your TV antenna in the 1970s (or before.) It also contains a small transformer that decreases the impedance by a factor of 4 (for most antennas) or by a factor of 6 (for some commercial antennas.) The result is that the 300 ohm impedance is reduced to 75 or 50 ohms which is a much more compatible result for copper coaxial cable. Almost every antenna made today has this balun built into it. So, I guess it does sort of seem like today’s antennas are 75-ohm antennas, because that’s what they output. They’re not, but I guess that isn’t the point. What is the point? The point is that if you’re looking for the right antenna for your needs, the perfect place to look is SolidSignal.com, where you’ll find an antenna for virtually every need.